One of the main reasons why a lot of people choose this route is because it seems like the path of least resistance. SFH’s are typically easier to acquire because they are more affordable and there is much more of them available in the market. Many people can self-fund and slowly build up a portfolio of SFH’s. They’re great for slow but steady growth. If your strategy is to buy one house per year for 10+ years and set up for retirement, this can be a great strategy for you. Let’s say that you want to invest in 20-units per year. That means you have to find, analyze and close on 20 different houses in that one year. Not only that, but you’d have to make sure you can get financed for 20 houses in that one year which can be troublesome because you will “cap-out” very quickly. Most banks only let you hold 4 to 5 mortgages. Compare this to purchasing one 20-unit apartment building. If your goal is 20-units per year, that is only ONE transaction you have to make that year. SFH investing is a very transaction-heavy strategy in this regard. Difficult and more expensive to manage. Property management companies typically charge 10% management fees for SFH or even smaller multifamily (MFH) such as duplexes to fourplexes. Compared to apartment buildings where management fees are as low as 3-7%. This is due to economies of scale and all 20 units being under one roof versus the property manager having to drive to 20 different locations and deal with 20 different tenants in different situations. Put yourself in the property manager’s shoes, which ‘job’ would you rather take? Because of the increased expense, many landlords manage their own rentals, at least until they reach a certain size. If you don’t want to manage your own houses, then SFH investing may not be for you. They’re more difficult to sell in bulk. You are going to need to find specific ‘portfolio buyers’ of SFH which is not as big of a buyer pool than apartment building buyers for many of the reasons stated above. You will more than likely need to sell off each 20-units separately and could take some time. However, either way, this means that it is very difficult for you to influence the value of your SFH’s as the general market dictates its value. MFH’s and commercial property, on the other hand, are valued with an income-based approach much like how businesses are valued. Which means the value depends on the Net Operating Income of the building. If a SFH is vacant, then you have a 100% vacancy and economic loss. You will have to cover the payments for this SFH until you can find another tenant to move in. Compare that with even a triplex for example, if one tenant moves out it isn’t unreasonable that the other 2 tenants will still be able to cover the payments and even most likely provide positive cash flow. The same with the original example with the SFH’s. Rather than having to make 20 separate transactions in one year to hit a goal of 20-units, you only need to make ONE. Believe it or not, getting financing for commercial multifamily can also be less hassle because they will be falling under a commercial mortgage versus a residential mortgage and is treated differently. Easier and cheaper to manage. As mentioned previously the management cost of MFH’s can be as low as 3-7% and are typically built into the business model. You have more control over value. Commercial real estate is valued with an income-based approach. This means you have more control over the value of the building. You can increase income or decrease expenses in order to improve the value. Even if you bought a mismanaged building at fair market value, you can make slight tweaks to it and bring it up to a higher valuation. A 25 unit building has gross rents of: $250,000 and expenses account for 45% of that which leaves you with NOI of $137,500. Based on a 7% cap rate, the value is $1,964,285. However, you know that the rents of all the units are $50 under market rental values, so you decide you can increase the rents by $50 / unit over a period of 2 years. You also determine you can decrease expenses to only 38% just through better property management. After 2 years you have your new gross rents of: $265,000. with expenses of 38% which leave you with NOI of $164,300. Based on the SAME 7% cap rate, the new value after 2 years is now… $2,347,142. Congratulations, you just created $382,857 in equity in 2 years. Not to mention you have also increased your passive monthly cash flow from the building as well. Because of the reasons above, there is much more upside in acquiring apartment buildings. Because of the higher price tags on commercial and apartment buildings, most investors will simply think it is out of reach. This is because a lot of people approach it with a SFH investor mindset and believe they need to use their own money and be able to self-fund the entire acquisition. But HOW can I get into commercial/apartments/mixed use? Rather than investing $100,000 into a SFH on your own, you can actually invest that $100,000 into a pool with other investors acquiring the same commercial apartment building for a share in the cash flow and equity. Not only are you mitigating your risks, but you can also have the opportunity to take part in larger acquisitions and projects and reap the better returns for your investment. Every investor’s goals are different and their different strategies reflect this. This article is not meant to devalue (or vice versa) any given investment strategy. There are pros and cons to everything, and you need to consider what your goals are and choose the right investment strategy to suit. P.S. You Can Get Into These Types Of Investments With None Of Your Own Cash Or Credit In Canada. If You Have Wanted To Learn… I Can Show You How… Subscribe Now! 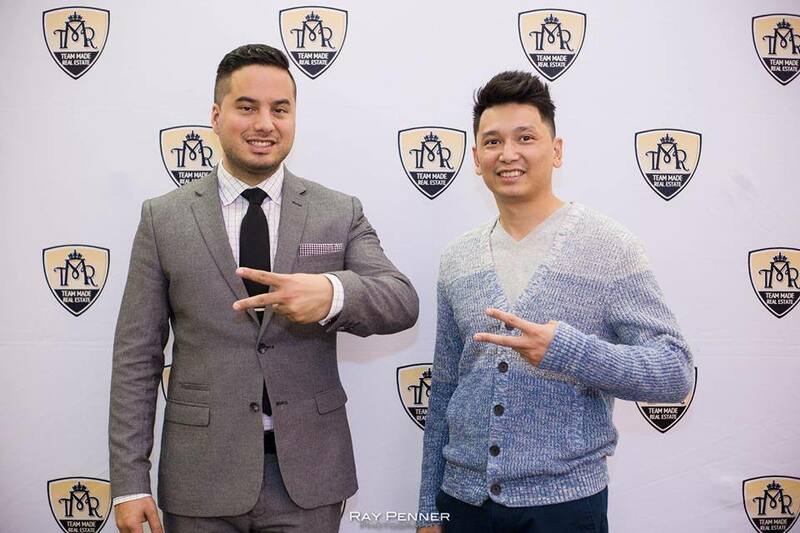 COO of Greater Than Group Inc.
President of Team Made Real Estate Inc.
President of Greater Than Developments LP. Why Savvy Investors Love Income Properties? © 2016. 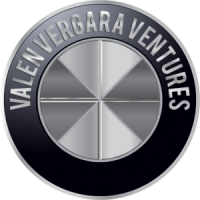 ValenVergara.com. All Rights Reserved.